Need a trade show rental booth in Chicago, without the stress? 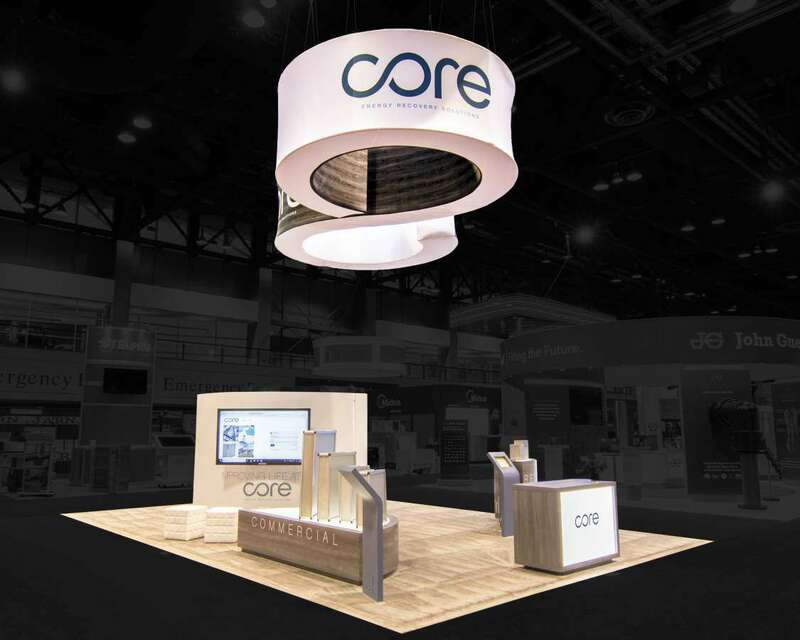 LOOKING FOR TRADE SHOW BOOTH RENTALS IN CHICAGO? 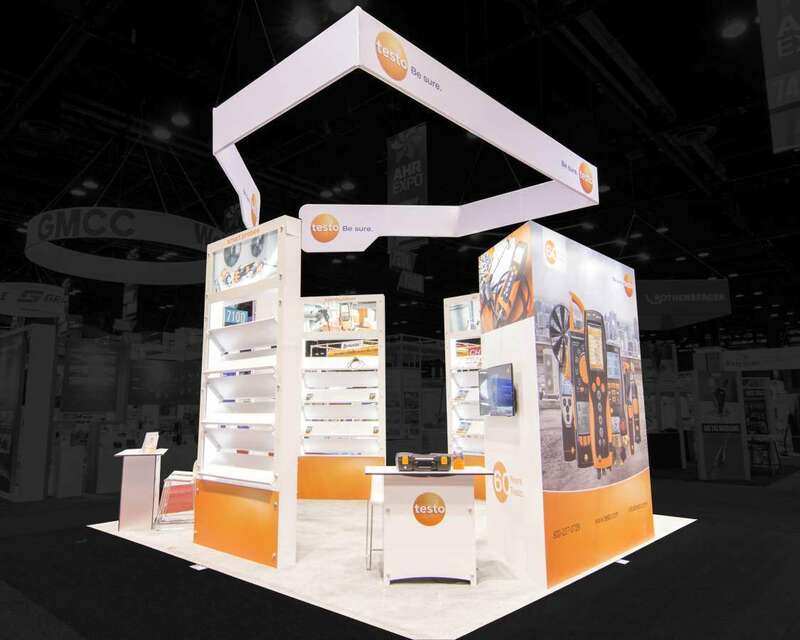 Are you looking for a reliable and high-quality designer and builder of trade show booth rentals in Chicago? If so, we at Exponents, one of the top trade show exhibit companies in Chicago are eager to listen to the requirements of your marketing team and share our expertise and experience of offering the best booth rentals in Chicago. Having collaborated with top brands to add dimension to their trade show participation in Chicago, we have the process and people capabilities to enable your marketing team to achieve all your trade show marketing goals, spot and resolve challenges that come your way and offer insights to position your brand as a cynosure of the trade show among communities of visitors. 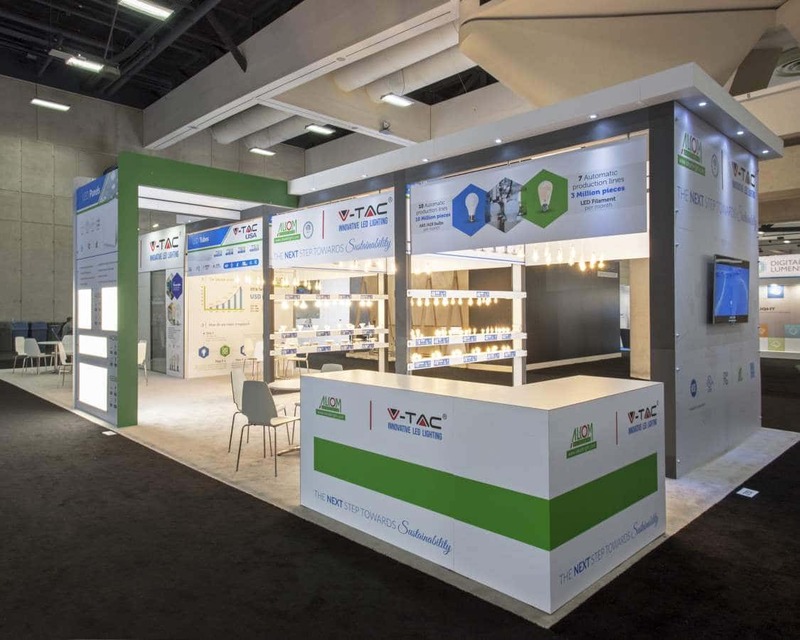 With an all-inclusive package of more than 500 pre-built trade show designs, an indigenous trade show booth manufacturing technology, a team of ace designers and dedicated project management we enable you to accomplish your targeted return on investment from the trade show within a stipulated budget. We offer you open and fixed prices to give you an insight on the costs, performance and stay in control of the project. With Exponents, you are always within your budget and on-time for the trade show. In the run-up to the trade show, you need to maintain process discipline throughout. We assign a dedicated project manager that reports to you and keeps you updated on work in progress. We leverage our indigenous booth manufacturing technology to build you a high-quality trade show booth rental in Chicago. It is not just the trade show booth rentals. It is the ambience that enables you to attract visitors and build rapport. We offer you a color code that touches across the lighting, furniture, brand accessories and furniture to match your logo and brand image. We stage your booth rentals to enable you inspect the features and performance first hand before the trade show. Do not move a finger. Hire our staff team for the installation, supervision, and dismantling of the trade show booth manufacturing. As one of the leading trade show exhibit companies in Chicago, we at Exponents have collaborated with leading brands to enable them to scale success at trade show events. With a legacy of more than 30 years of sustainable quality leadership in the domain of trade show displays in Chicago, we know and understand the dynamics and shifts of the trade show landscape of the city. Chicago is a strategically important finance hub in the United States of America and is home to major enterprises in the BFSI industry vertical. Well-connected to the rest of the world and the country through a fluid multi-modal transportation system, Chicago has a robust local economy driven by a competent workforce employed at workplaces of diverse multinational corporations. The city also boasts of some major trade show and convention centers hosting some landmark tradeshow events that pull crowds of visitors and top notch brands from diverse industry verticals. With an active trade show calendar across the year, a bustling local economy and picturesque trade show centers, Chicago present ample opportunities to marketing executives of brands participating in the trade show to showcase offerings and demonstrate their value proposition. While being high on the promise of return on investment, trade shows in Chicago throw up challenges to marketing executives such as a high degree of competition, constantly evolving best practices in brand messaging, unique and new themes for design of trade show rental displays in Chicago, concurrent trade shows and tight timelines between consecutive trade shows and changing rules of engagement with visitors at trade shows and rapidly rising costs and the requirement of streamlined and unambiguous financial planning. Scaling success at trade shows in Chicago amidst these challenges calls for marketing executives to lean on reliable trade show booth designers and builders that have been there and done it and promise a completely crystal clear financial planning for participation in trade shows. Further, ahead of marketing executives need to get a completely transparent insight into the costs of trade show rental displays in Chicago so that the project objectives are shaped in sync with the outlay and the return on dollar spend is assessed objectively. 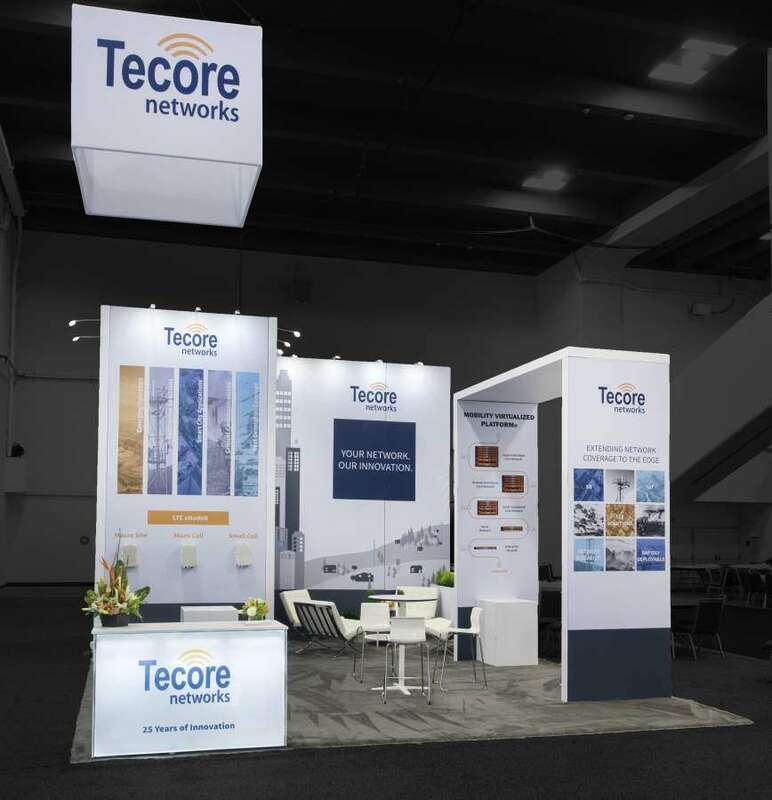 HOW TO TRANSLATE YOUR TRADE SHOW GOALS INTO REQUIREMENTS? 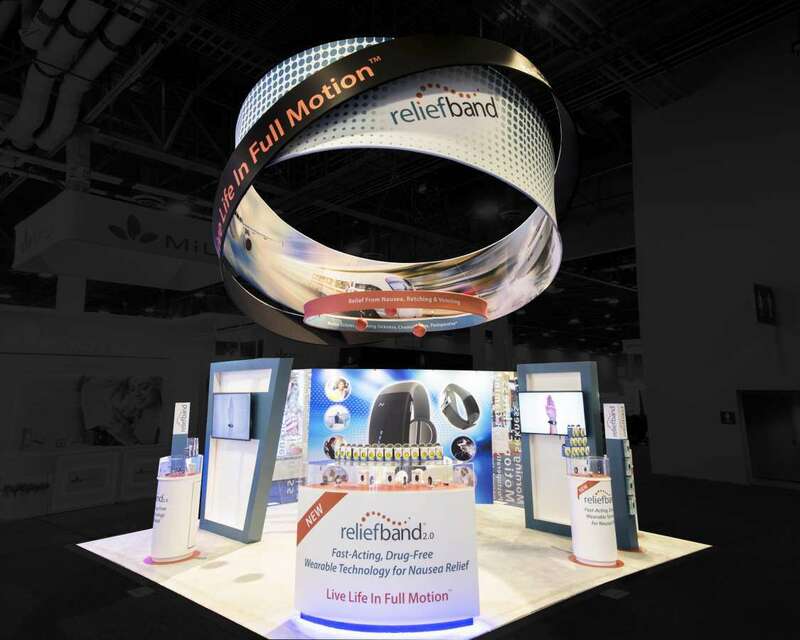 For more than 30 years now, we have worked in close collaboration with leading brands to add dimension to their trade show participation experiences. We empower your marketing team with consulting, clinical insights and know-how on the rules of engagement with visitors at trade shows in Chicago. With our offerings of trendy design ideas for trade show exhibits in Chicago, indigenous booth manufacturing technology and teams of ace designers and staff for concierge services we address all challenges coming your way with seamless ease. We enable your marketing team to zero down the gap between their custom requirements of design, build and delivery of booth rentals in Chicago and complete on-site support, routed through dedicated project management. With Exponents, you get access to a team of astute and experienced professionals in the domain of trade shows that enables you to traverse the distance from your requirements to corresponding solutions. To put things into perspective and define your precise requirements, we assign a dedicated project manager that walks your marketing team through the project by empowering you to define your timelines, and decide on the total outlay and corresponding choice of design, build and delivery of the trade show rental displays in Chicago. Our dedicated project manager engages with you to understand your brand philosophy, value proposition, and offerings to recommend a trade show exhibit design that is apt, color coding and the roadmap to get there within your budget and the window of time available. We build your trade show booth rentals using the best quality materials and fabrics and our indigenous booth manufacturing technology. Once built, we stage your booth rentals once at our factory premises and then again at your site to inspect the features and performance against pre-committed quality standards. No two brands are similar and we understand that your brand needs a unique face on the floor of a trade show to beat the competition, attract visitors and catch their attention in the shortest window of time. 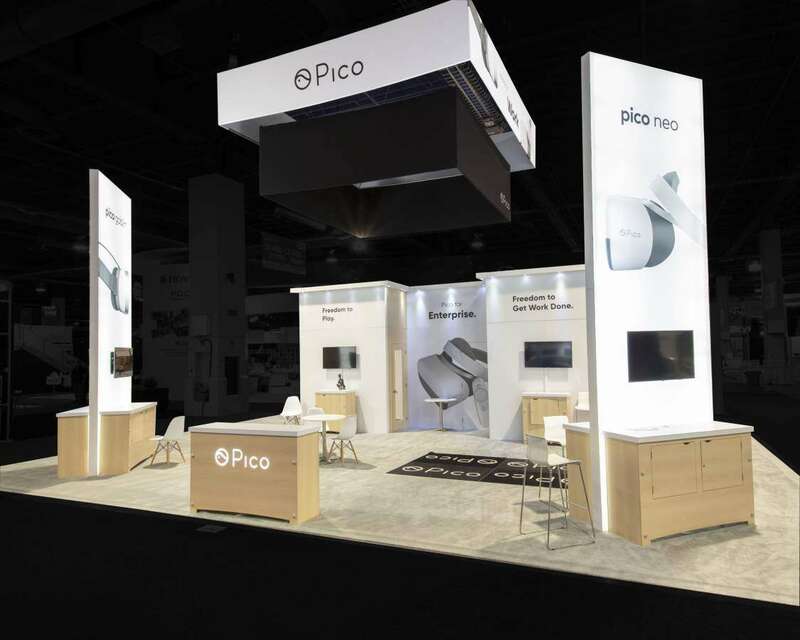 We offer you a range of more than 500 pre-built designs of the best trade show booth rentals in Chicago. 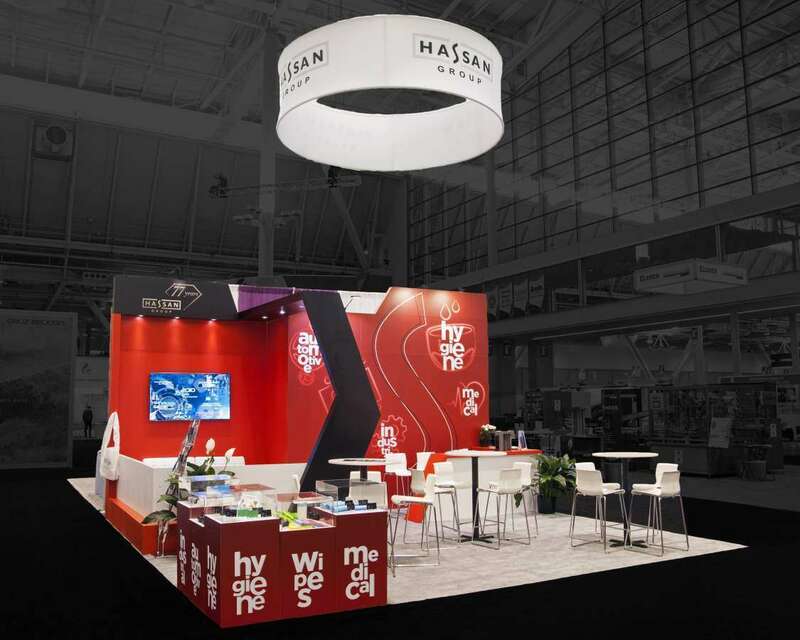 Each trade show design is developed by a team of ace designers that bring proven virtues of expertise and experience to the table. You may ask for add-on features to lend a more unique touch to your trade show booth rental in Chicago. We offer add-on features for extended functionality and superior performance on-demand. 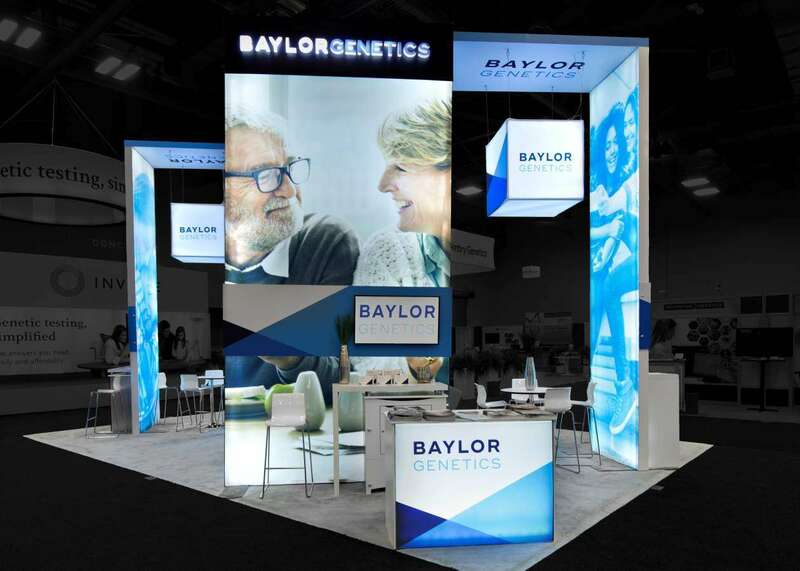 You may also ask for a completely unique trade show rental booth design. 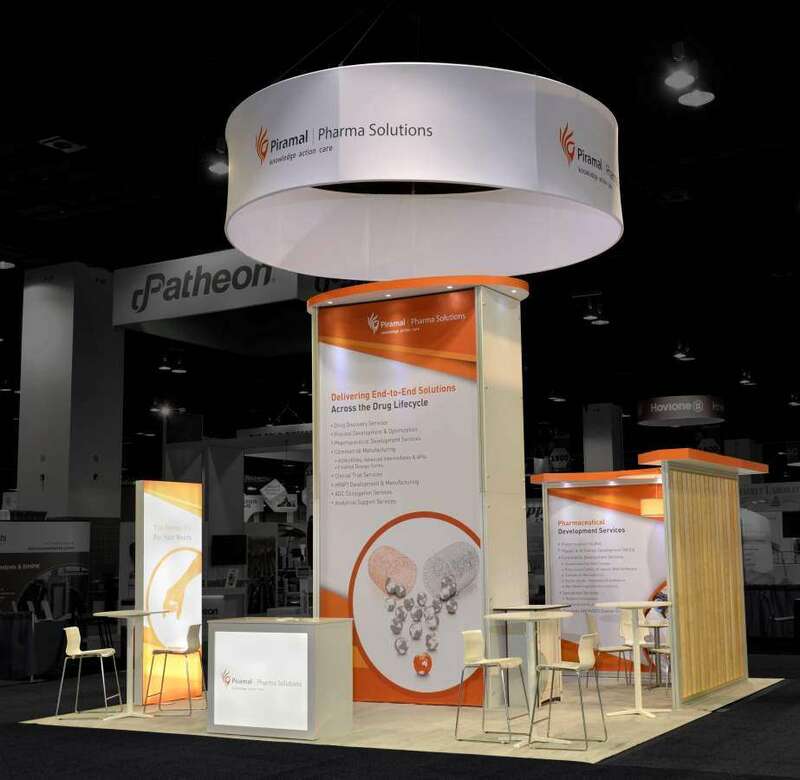 We also offer you a fully customized trade show rental booth design to cater to your requirements so that you stay ahead of competition and get access to precisely your custom requirements. WHAT IS SPECIAL ABOUT RENTAL TRADE SHOW BOOTHS FROM EXPONENTS? Of all trade show exhibit companies in Chicago, Exponents are the only one to offer you open and pre-committed prices on your trade show rental displays in Chicago. Yes, we offer you fixed and transparent prices exclusively to enable you gain an insight into the financial scope and challenges of the project. We understand that need for your marketing team to extract value from participating in a trade show event and therefore the necessity to allocate an outlay. This paves the way for your marketing executives to work towards your goals with a budget in mind and explore the best possible offerings of booth rentals in Chicago while staying in control of the dollar spend. Fully Informed Decisions: With our open pricing, you get to decide on the total outlay that your team needs to approach the trade show. You get to work towards an end in sight and knowing that you do not have to pay anything more than what is charged against out trade show rental displays in Chicago. Financial Control: One of the major reasons that trade show participants find it challenging to derive value from participating in an event is that they are not in control of the costs and receive a hefty bill after the event. The absence of predictive analytics of costs imposes a grave financial risk. We enable you to negate that risk completely. Operational Control: We allow you to choose a fixed price booth design so that you get to know the price performance metrics before-hand and steer clear of mismatches between your expectations and the deliverables.